Save time by engaging us to do the work for you. 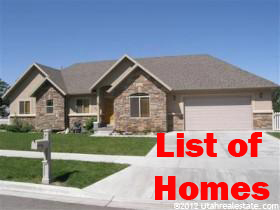 After a personal consultation, we can draw up a list of American Fork homes based on your needs. 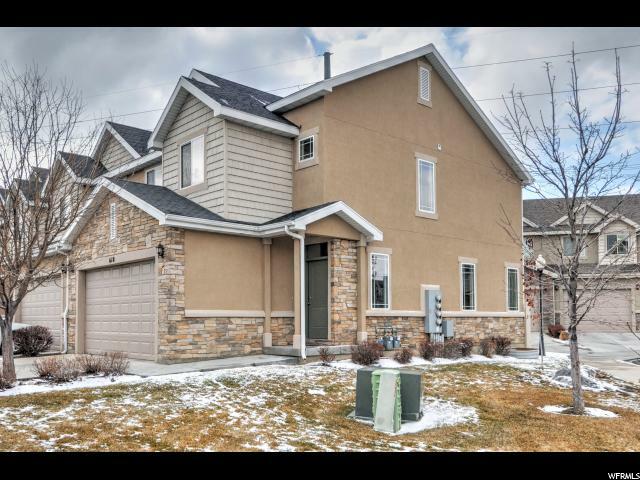 We also keep our eye out for American Fork UT real estate coming on the market so that you have a chance to see what's new in realtime, rather than waiting for an email update. We're happy to answer all your questions about the process of buying American Fork Utah real estate. Buying a American Fork UT Home? 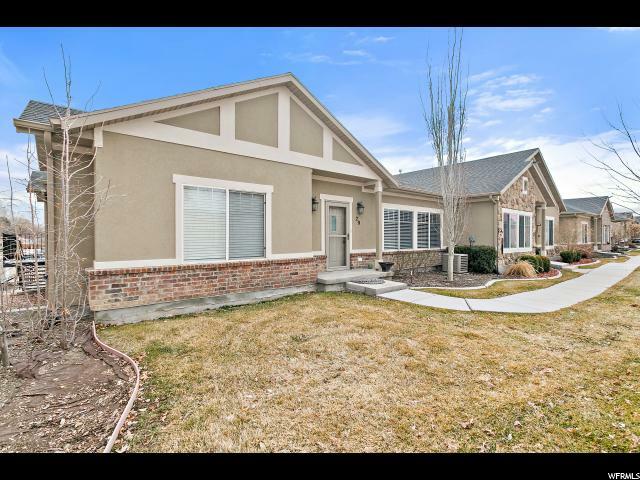 We can help you sell your American Fork Utah home quickly, easily, and for the best price the American Fork Utah real estate market can offer. We can give you advice on staging, showing and the transaction process. We are always available to answer your questions about selling American Fork Utah real estate. Paul Teasdale has been selling homes in American Fork Utah since 1995. 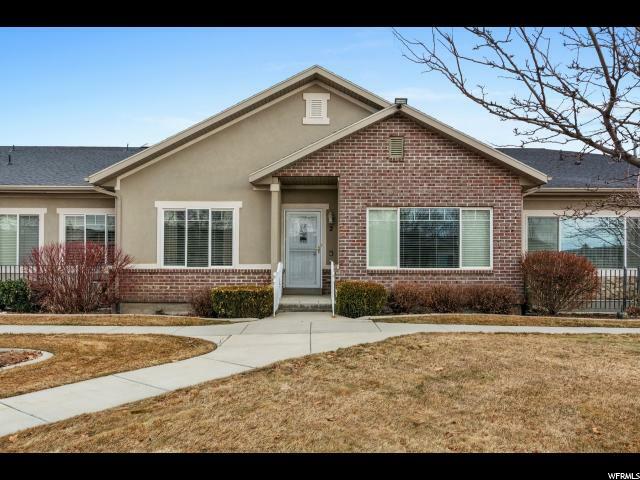 Paul has sold over 1,000 career homes in Utah County. In 2013 Team Teasdale Realty sold two homes in American Fork UT. One priced at $2 million and one priced at $1.3k. 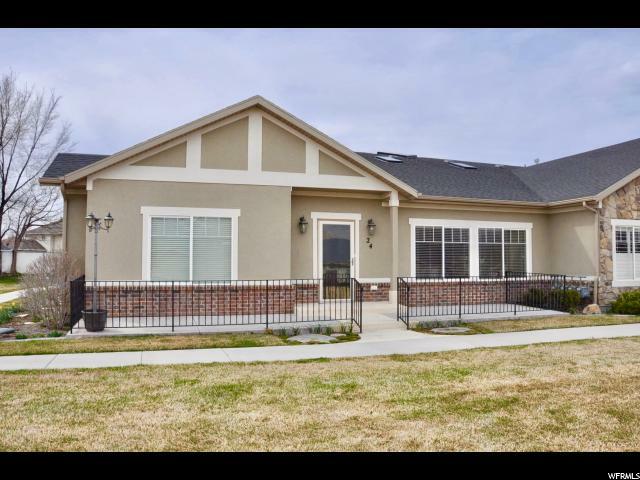 Hire one of the most experienced Realtors in Utah County to represent you when buying or selling a home in American Fork Utah. "Wonderful 55+ Community. Large clubhouse includes game area, fireplace, fitness center, craft room, barber/beauty shop, library and can be reserved for personal parties. The pool/spa room is under final renovations to re-open sometime in April. 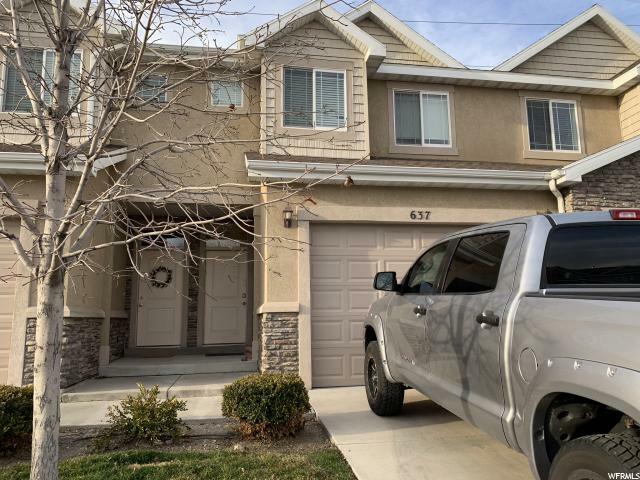 This unit features main floor living, storm door on front entry, newer carpets (2015), furnace serviced in January, and a highly coveted personal storage unit that is included in the sale. Come see the views of the mountains and walk the community! Carpets will be cleaned and a new dishwasher will be installed prior to closing. Washer and Dryer included!" "THIS HOME IS A MUST SEE. This is a 55+ condo unit with lots of upgrades! BEST LOCATION of all units. This ground level condo features open floor plan and move-in ready 1 bedroom and 1 bath plus laundry hookups and washer and dryer in unit. It has a huge walk-in closet that was supposed to be a bedroom. It could be made into a 2nd bedroom. Home has mountain view that will never be blocked. Live in a maintenance free condo without the cares of yard-work and exterior maintenance. Covered parking included. Stainless steel appliances, gorgeous wood floors, best walk-in closet in entire complex. Community includes a beauty shop, fitness center, library, pool, hot tub and clubhouse on site. Location is perfect for quick freeway access, local dining and shopping!!! Must See!!! HOA includes insurance, cable tv, water, garbage, & sewer. HOA has indoor pool, spa, club house, fitness center, beauty/ barber shop, & library. Clubhouse can be reserved. " "MOVE IN READY! 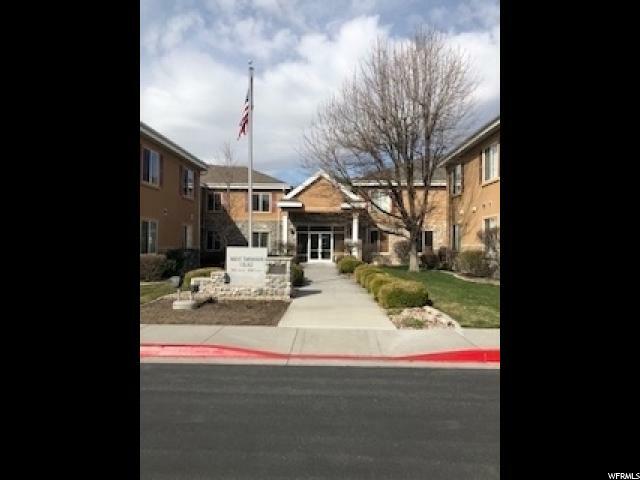 This ground level, 2bd/1ba condo in a 55+ Community is perfect for those who want to be free of yard work and stairs, and who want friendly neighbors, beautiful grounds, a variety of outdoor spaces, a lovely club house, pool, exercise room, and lots of social interaction with neighbors! The unit boasts new carpet, new paint, new water-proof laminate, new dishwasher, new disposal, and is super clean! Soothing patio spot with a view and BBQ just outside your front door. Perfect spot for the most golden of your golden years! Hurry, this unit will go QUICK! Buyer to verify all info." "Welcome Home! 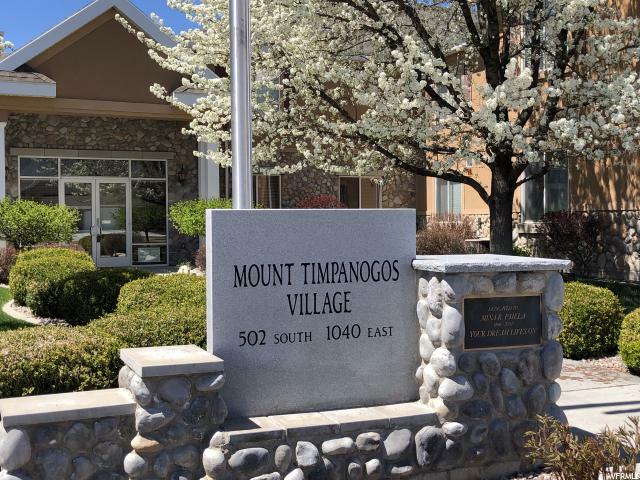 Updated 2 Bedroom/1Bath Condo 55+ feels so good nestled in Mt Timpanogos Villas. Breathtaking unobstructed VIEWS of Mt Timp from Bay Window in Master Bedroom. Kitchen/Family create a greatroom living space - open w/lots of natural lighting. Large Kitchen with pantry & plenty of space to move about. Recent Updates; NEW 2019: Luxury vinyl plank in foyer, kitchen, hallways, Carpet in Master, Larson storm door. NEW 2018: Hot water heater, Vanity top/Sink & Lights Bath, Plumbing fixtures in both Kitchen & Bath. NEW 2014: 3.5 ton AC unit - Best AC unit in complex (see pic). Condo is surrounded by beautiful grounds, a variety of outdoor spaces covered & uncovered, a wonderful club house, in door pool, exercise room, and lots of social opportunities with neighbors! " "** *MULTIPLE OFFERS. 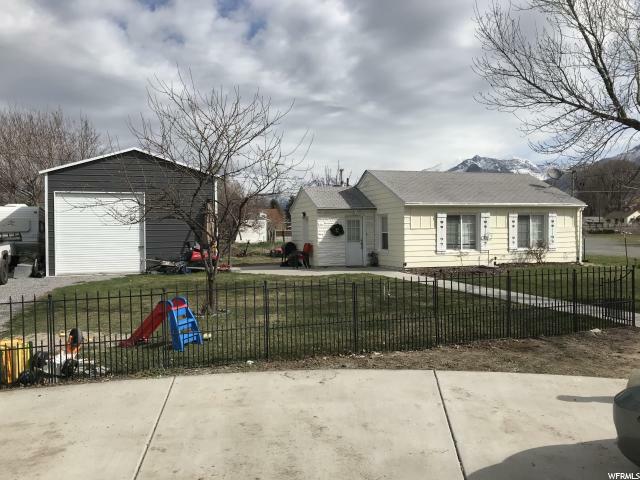 Highest and best due Tuesday, March 19th by 5pm*** This is the perfect starter home or investment located within a prime area of American Fork. Backs to a city park and has its own private park. Open floor plan in the desirable Northgate community. Schedule an appointment soon because this won't last long. " 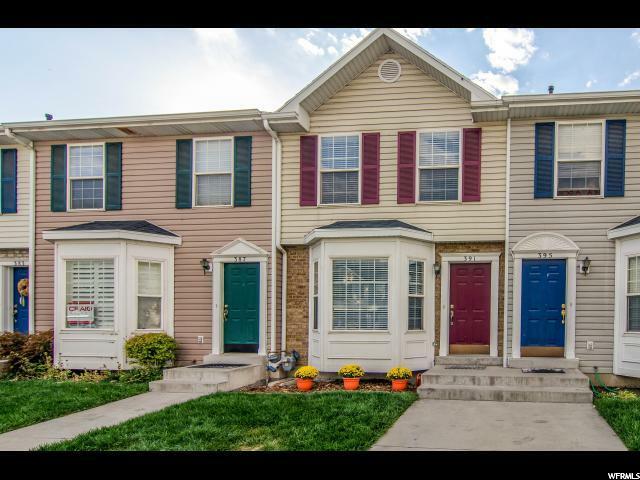 "This townhouse is in the heart of one of Utah County's most popular and thriving areas. It is situated close enough to the freeway entrance leading to all the surrounding areas, but it is also far enough away for quiet, small-community living. This townhouse has a new roof, new carpet and new vinyl flooring. It could serve as either a great rental property or a personally-owned and enjoyed property. Square footage figures are provided as a courtesy estimate only and were obtained from Utah County land records. Buyer is advised to obtain an independent measurement." "PRICE REDUCED! 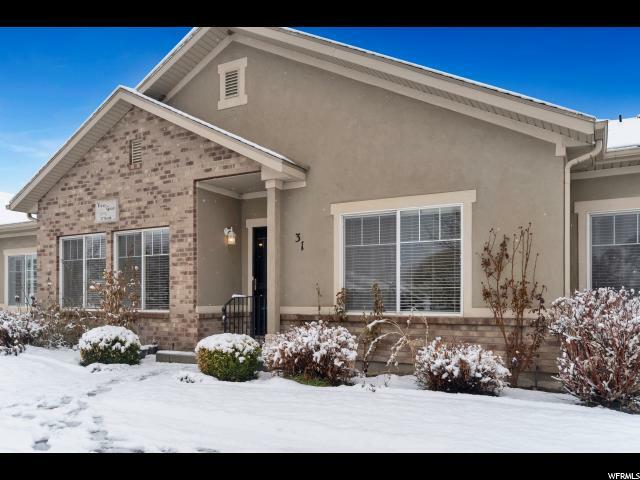 This cozy home is conveniently located in a great central location in American Fork and is within walking distance of shopping and more. A home at this price is hard to find. 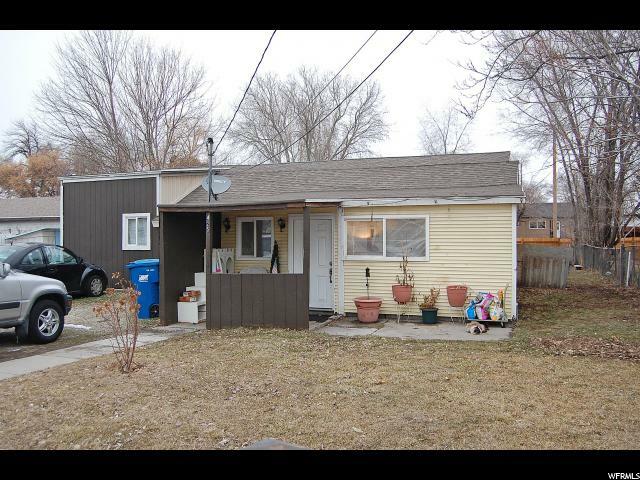 This will make a great starter home or rental property! Buyer to verify sq.ft and information." 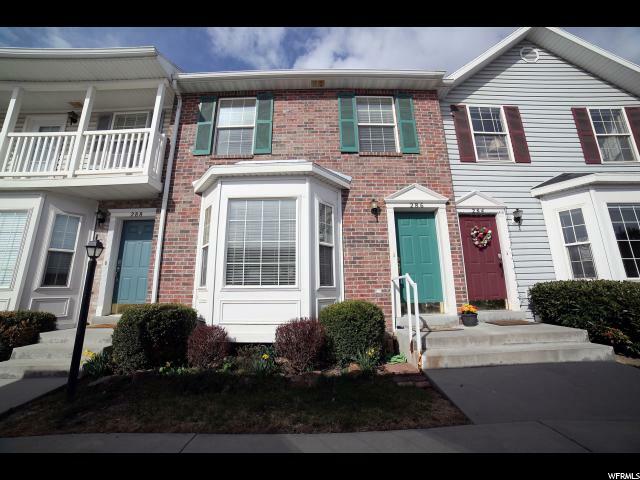 "This townhouse is in the heart of one of Utah County's most popular and thriving areas. It is situated close enough to the freeway entrance leading to all the surrounding areas, but it is also far enough away for quiet, small-community living. This townhouse has a new roof, new furnace and air conditioner (summer 2017). It could serve as either a great rental property or a personally-owned and enjoyed property. Square footage figures are provided as a courtesy estimate only and were obtained from Utah County land records . Buyer is advised to obtain an independent measurement." "55 and older community Light and Bright end unit . Underground parking with 2 spaces and a huge 18'x26' STORAGE included. The Garage has an elevator to make it easy to get to and from the year round dry and protected parking spaces . Even more storage inside. Make your appointment today to see this wonderful main floor living and all its amenities. Buyer is advised to obtain an independent review of all information." "Completely remodeled townhome in a great, convenient location. Hardwood floors, new paint throughout, tons of storage. Cute private patio and access to great green space. No maintenance!!! Don't miss out!" "MAIN LEVEL LIVING in a quiet and peaceful 55+ community! The PERFECT LOCATION close to shopping, schools, and easy freeway access. Don't miss out on the opportunity to live in this clean and spotless community. This home has an open concept layout and is wheelchair accessible. The kitchen features beautiful cabinets with plenty of storage. The bedrooms are open and bright with spacious closets. Parking garage with storage space and elevator access. Enjoy breathtaking views of the mountains from the large front patio! Square feet as per County. Buyer and Buyer's Broker to verify all information including square footage and acreage. " "Come and see this darling 2 bedroom, 2 bath condo in a 55 and older community. This spacious, open concept layout is perfect. The rooms are very large and the entire unit is wheelchair accessible. The parking garage, huge storage room, and RV parking only make this property more appealing not to mention the elevator that's right next to the units two parking spaces. Washer, dryer and fridge are included in unit. Included in the HOA fee is cable and internet. Square footage figures are provided as a courtesy estimate only. Buyer is advised to obtain an independent measurement." "Cute Cozy 2 Bedroom 1 Bath home. Great Starter Home. Good Location to schools, shopping & freeway. New paint, flooring, kitchen back splash, dishwasher, toilet, bathroom vanity. New garage w fiber mesh cement floor & lots of storage in the loft; work bench. This property is move-in-ready. Easy to show. Will not last on the market for long. This property is zoned as R-2-7,500 for one or two family dwellings. Documentation available upon request. Square footage figures are provided as a courtesy estimate only and were obtained from Utah County Recorders Office . Buyer is advised to obtain an independent measurement. New Shingles to be put on roof. " "BUYER FELL THROUGH! This one won't last! 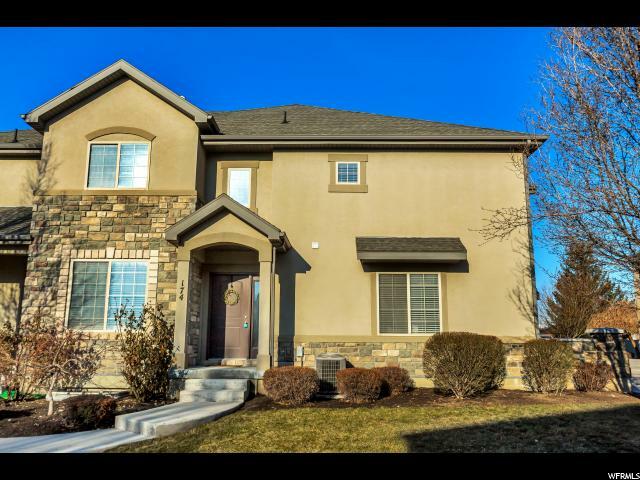 Come see this beautiful MAIN LEVEL LIVING home. AMAZING LOCATION! Perfectly situated near shopping, freeway access, and schools. Beautiful VIEW of Mount Timp. Large STORAGE unit in UNDERGROUND parking with the ease of ELEVATOR ACCESS up to your home. SPACIOUS feel. QUIET living. Come take a look at this amazing 55+ community. Square footage figures are provided as a courtesy estimate only. Buyer is advised to obtain an independent measurement." 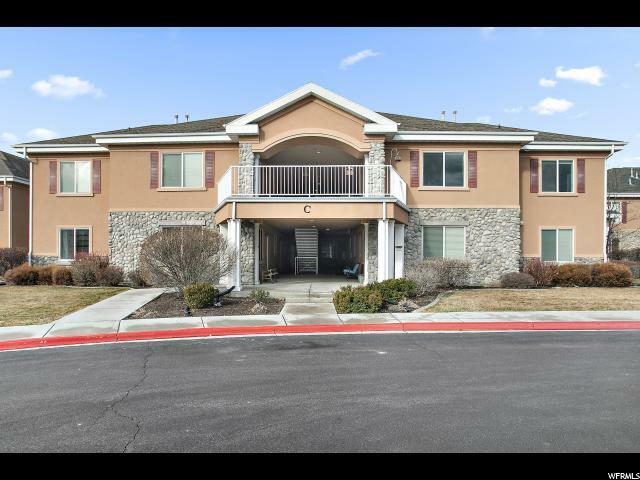 "Come home to this gorgeous condo in the highly sought after, gated Haymaker community! 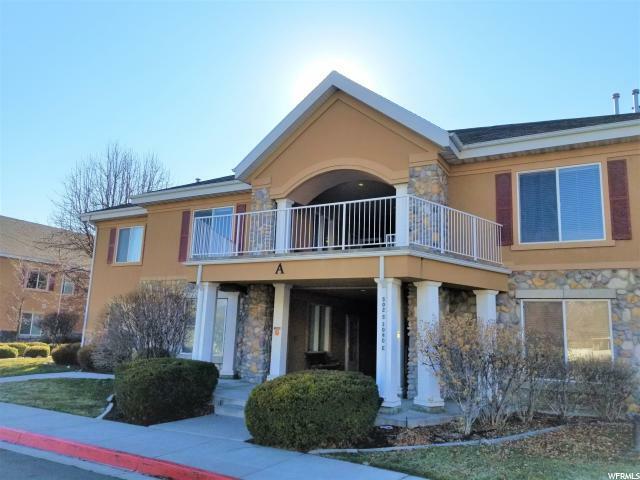 This 3 bed 2 bath top floor unit has been extremely well cared for and features granite counter tops, a large covered deck and gas plumbed to both the range and dryer. The attached garage has parking for 1 car and there is another dedicated parking spot for this unit as well. You'll enjoy having a clubhouse with pool, playground and theater room just down the street. Square footage figures are provided as a courtesy estimate only and were obtained from county records. Buyer is advised to obtain an independent measurement. " 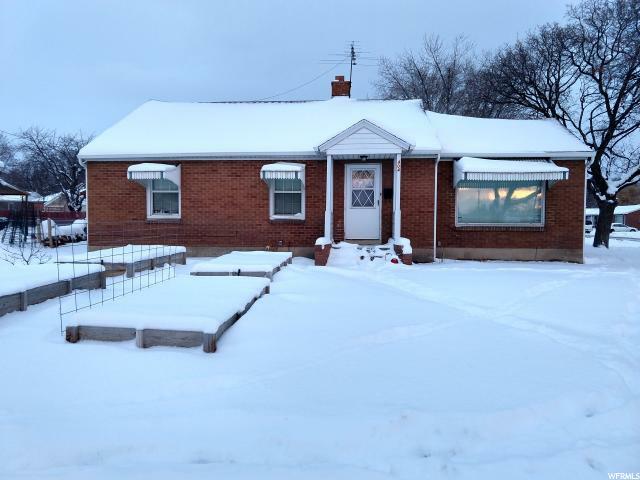 "Cute little bungalow home in the heart of American Fork. Enjoy your secluded backyard complete with mature trees and a fire pit Very close proximity to schools, parks, churches, shopping and freeway access. 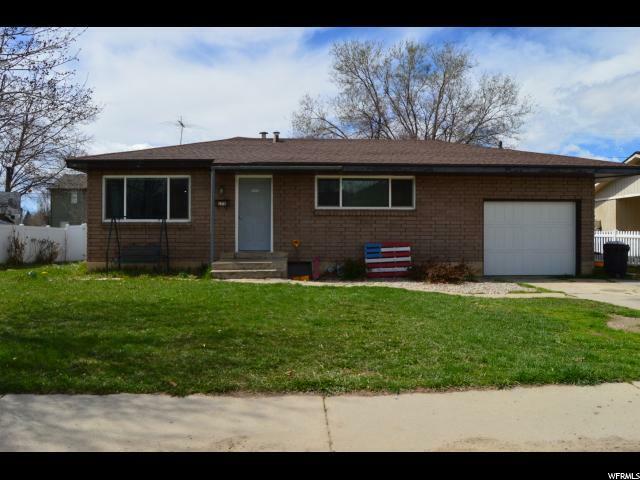 This home features 5 bedrooms, 1.5 bath, a full kitchen with a family room off to the side. The basement is 50% finished but has a newer furnace and a half bath plus electric & gas hookups for the dryer. This home needs some TLC but with the right owners it can be a real gem. The home does have tenants living in it so please be courteous with showing requests. There will be no home warranty provided. Please bring any and all offers as the seller is motivated to sell it quickly. Square footage figures are provided as a courtesy estimate only and were obtained from county records . Buyer is advised to obtain an independent measurement." 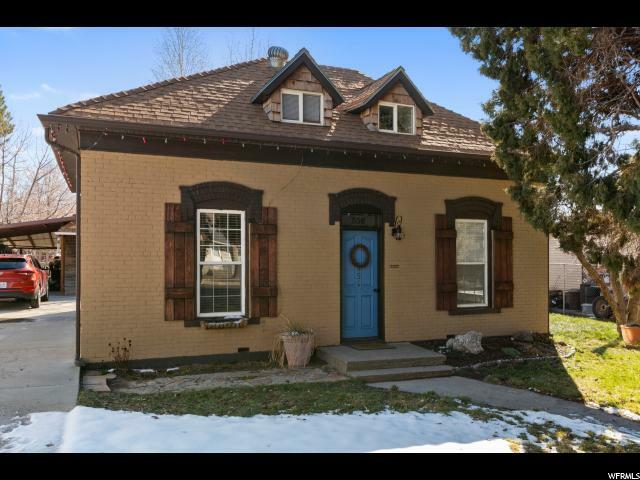 "Charming cottage rambler in the heart of American Fork. 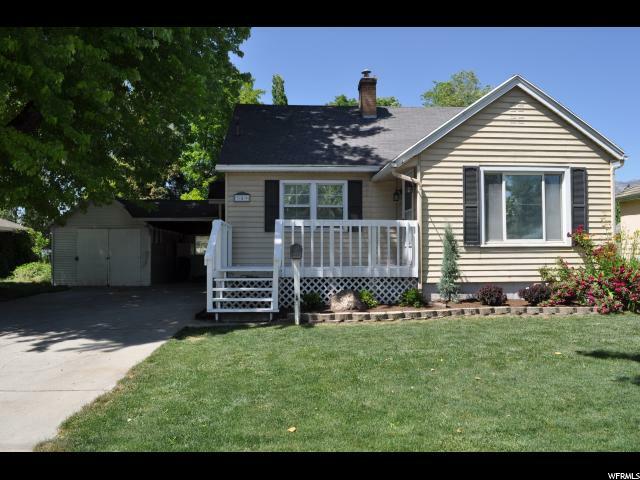 This well kept home has an updated kitchen, hardwood floors, finished basement, and a fantastic deep backyard with mature trees and a great wood patio thats perfect for relaxing. Being close to shopping, and the freeway makes this the perfect home!" 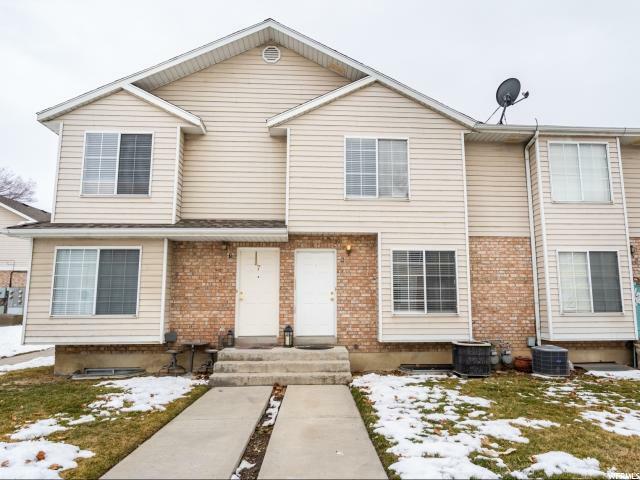 "Beautiful upgrades and molding throughout this well cared for townhome in the heart of American Fork. 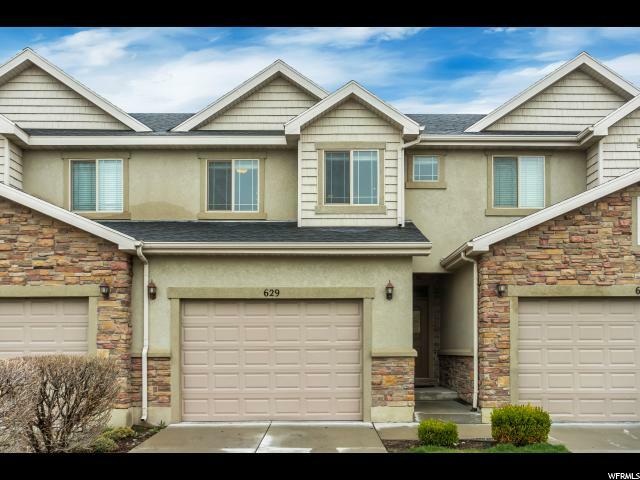 This home is in a gated community with easy access to shopping & freeways and features 9ft ceilings, knotty birch cabinets, master suite, & large walk-in closets. Clubhouse w/pool, walking trails, playground & pavilion. Priced to sell quickly, request your showing today! Square footage figures are provided as a courtesy estimate only and were obtained from County Records. Buyer is advised to obtain an independent measurement." "SHOWINGS START 4 PM FRIDAY AND OPEN HOUSE SAT 11-2 pm. Fantastic 3 bedroom townhouse in amenity filled community. 100% finished basement with office space and beautiful mountain views. Walk out your back gate to access the amenities and visitor parking near unit. Unit was part of the last phase built and kitchen is one foot wider than all other phases. Square footage figures are provided as a courtesy estimate only and were obtained from appraisal. Buyer is advised to obtain an independent measurement." 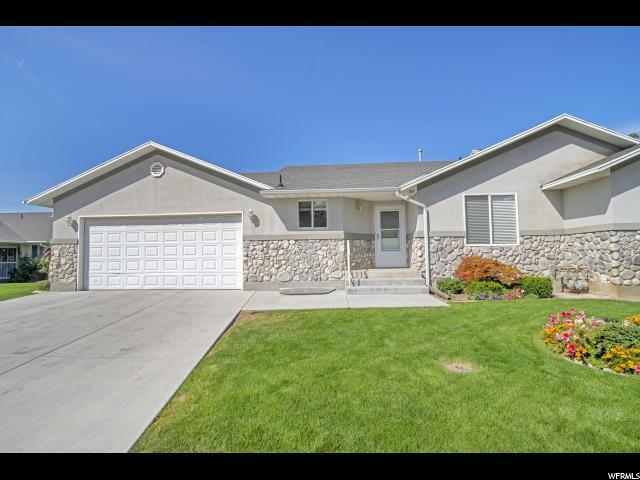 "Updated home in the heart of American Fork. Renovations include: basement insulated and framed, home painted throughout, large egress windows added in basement bedrooms, new bathroom in basement, kitchen cabinets painted, backsplash and quartz countertop added in kitchen, electrical upgrades, new fence, and more. Large storage area in crawl space. Lots of parking with double-wide driveway with easy access on the quieter 400 north. Square footage figures are provided as a courtesy estimate only and were obtained from appraisal. Buyer is advised to obtain an independent measurement. The listing agent is also the owner of the home." "Super clean and ready to move in 55+ community. This is one of the few in the community with the additional basement area providing a much better main level floor plan and bedroom size. Open kitchen and living area with great lighting and cheery master bedroom, laundry on the main level. You will enjoy relaxing on the covered patio in the private backyard while not worrying about the work of maintaining it. This home is close to everything and one of the best values in the valley for a 55+ community. Furnace and Central air installed summer 2017. Square footage figures are provided as a courtesy estimate only. Buyer is advised to obtain an independent measurement." "3 bedroom bonus room can be made into 4th bedroom 1 bath new kitchen electrical has been updated bathroom carpet carport holds two cars long driveway cement new furnace as water softener and fireplace shed out back with basement RV parking new roof new furnace and water heater sprinkler system hook up for a hot tub new flooring through house nice yard in good neighborhood we'll look at all offers"
"This adorable ranch-style home has the Master and Laundry on the main level, with extra wide halls and doors. Furnace was replaced and Basement beautifully finished in 2017 with a weatherization overhaul for low utility bills. Small fenced patio in back just the right size for a relaxing recharge, accommodating a pet, or tending a salsa garden. Great neighbors and super convenient location. You'll love living here! Schedule your viewing today!" "Beautiful end unit with newly finished basement in gated community! THIS HOME WON'T LAST LONG! 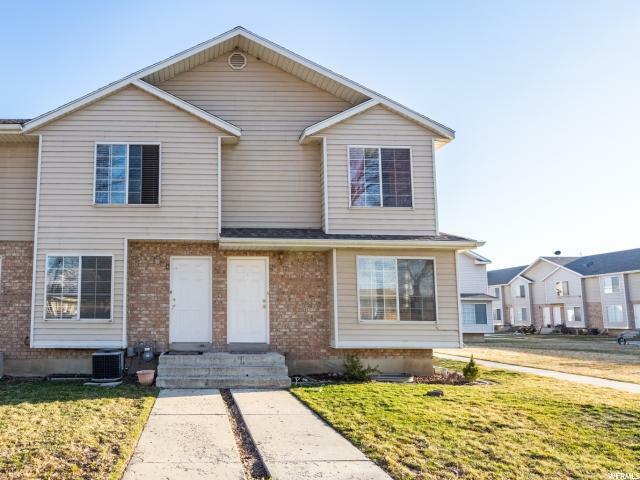 3 bedrooms, 3 1/2 baths, large master with walk-in closet, a lovely kitchen with plenty of cabinets, bonus family room in basement, & upstairs laundry, this is a perfect place to call home! Square footage figures are provided as a courtesy estimate only and were obtained from Tax Data . Buyer is advised to obtain an independent measurement."